If you didn’t enroll you or your children to participate in one of the many service activities organized around the nation, there is still time for you and the children to do something kind on their own for their neighbors or fellow man. Take garbage bags down to the town creek or some other littered area near your home and clean it up. Make sandwiches and pack fruit and a snack into about a few dozen brown bags and pass them to homeless people in the closest town or city to you. Gather old toys and bag them up to donate to Goodwill or a local family shelter. Call a local home for the elderly and ask if you can come by and play cards and/or board games with the residents. Make Festive Thank You Cards to send to the local USO to ship off to military serving abroad. 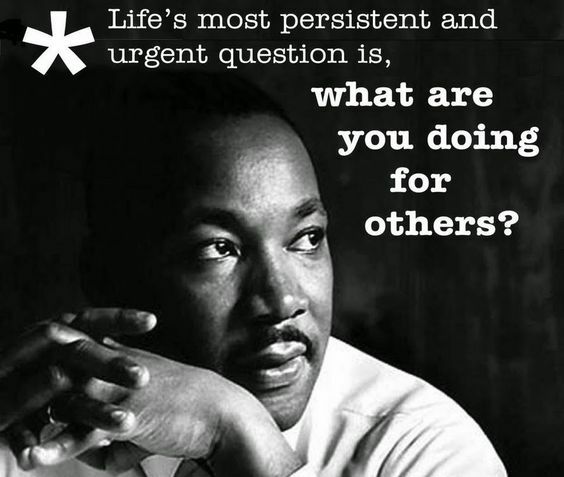 Good luck and Happy MLK Day of Service!